USA Mortgage is now your local Mortgage lender in Moberly! We are a full-service mortgage bank offering a variety of home loans in Moberly and its surrounding areas. With our new Moberly location at 1616 North Morley, you can trust that you are working with a local lender who is only a call away. We will see you through all aspects of the home loan process from the time you meet one of our mortgage professionals to the day you sit at the closing table. What makes us unique is our attention to the details, great communication and offering variety of options. It’s important to us that you are able to communicate and ask questions. You will have a better understanding of your loan status with our state of art mobile app and updates on milestones as we move through this journey together. We want to meet all your financial goals and exceed your expectations. 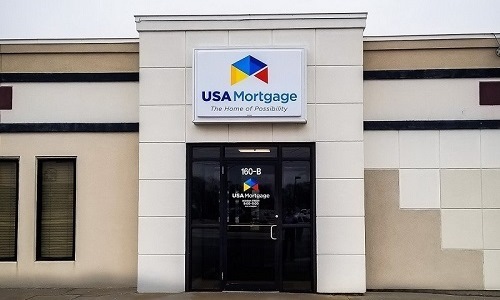 Offering USA Mortgage’s full line of loan products, our Moberly location will have a product to fit most of home buyers and home owner’s needs. We offer products such as USDA, FHA, VA, Renovation, Conventional, and down payment assistance programs! We give you options for 100% financing on USDA, VA, and FHA products. Working with USA Mortgage of Moberly, you will experience a less stressful mortgage process with better rates, lower fees, and top tier customer service. Kristen is a person who truly wants to help people. It's not about closing a loan with Kristen, she's about helping you get where you want to go. If you need a little guidance to get credit ready to make a purchase or prepared to make a quick close, Kristen is the person to call! We recently closed on a new house thanks to the fantastic crew at USA Mortgage. Kristen Harms was professional and really easy to work with. We had been working with a couple other lenders, and they were super slow with everything. We contacted USA mortgage, was approved, made an offer, offer was accepted, and then 1-2 weeks after we placed our offer the other company reached out for more information. We said sorry, USA Mortgage was far superior, we're already halfway done. We'd probably still be waiting to move in with the other lender.... Highly recommend them if you're looking for a home loan. Kristen & Jeremy will take excellent care of you the entire way. Plus they got us a nice housewarming gift. ?? I would highly recommend Kristen Harms to anyone buying a home. 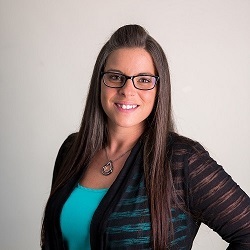 She is very knowledgeable and will make your loan process a very positive experience. She is available to answer any of your questions in a timely manner and is very trustworthy. Kristen of USA Mortgage in Moberly is great! USA Mortgage in Moberly Mo. is the place to go if your looking for great service and your next home. I would strongly recommend Kristen Harms for all your needs!! Friendly, knowledgeable, and most importantly she knows what she is doing!! Keep up the great work Kristen and USA Mortgage!! We had a great experience with USA Mortgage! Jeremy was very responsive to any and all questions we had throughout the application process. He made sure we understood every aspect of our loan details and he worked to ensure we received the best interest rate possible. He is very knowledgeable and we are very pleased with our experience working with Jeremy and USA Mortgage! Jeremy went above and beyond during every step of the loan process. He was very thorough and efficient. He worked closely with my realtor and always answered our calls and emails personally. He made us feel like we were his only clients because he was so attentive. He was very reassuring in sticky situations that arose and made the entire home loan process simple and easy. I would highly recommend Jeremy to anyone shopping for a mortgage and he would be my first and only call if I were ever in the market for myself again. You can easily rely on this company for all your home loan needs. As as Realtor I know Michael Vanella and his team will always go the extra mile to ensure a successful home purchase. His clear and timely communication allows for seamless transactions from beginning to end. The care and attention they give is second to none! As Missouri’s largest lender, we are able to offer a wide variety of competitive products to all the communities we serve. We take pride in having complete control of our operations, such as processing, underwriting, closing, and funding. Having these processes done in-house means we have greater control over all parts of our process. It’s this efficiency that makes us number one lender in Missouri year over year. Please contact your new Mortgage Lender in Moberly for further discussion of your options on your new home loan or the refinancing of your current home loan.